100% Cotton shirt. Henley style with three buttons on the front. Blue and white striped pattern. 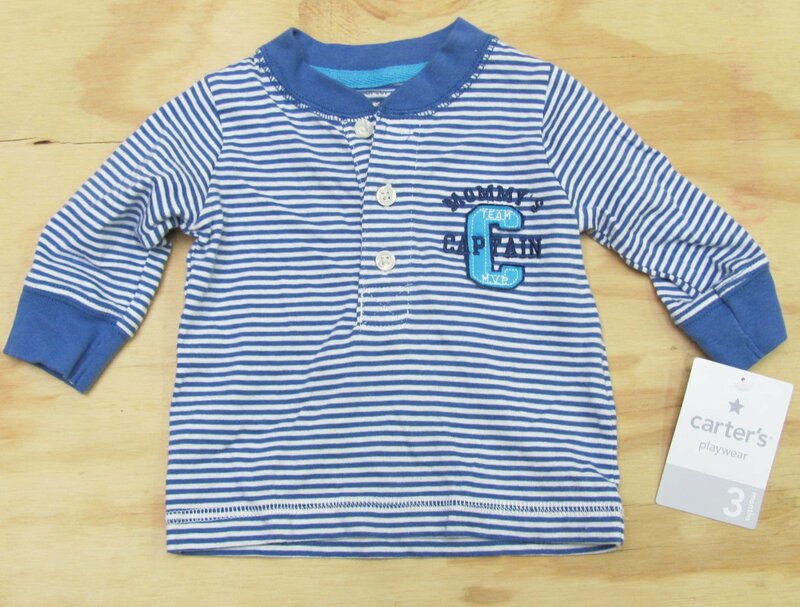 "Mommy's Captain" is embroidered on the chest with and appliqued "C" and "Team MVP". Long sleeves. Brand new with Carter's tags! This top was part of a set but is missing the matching bottoms.